Education seems to be on the mind of a growing list of presidential hopefuls so I decided to focus on the continuing educational theme. Today, you can complete a college degree and even grad school on line; this week. 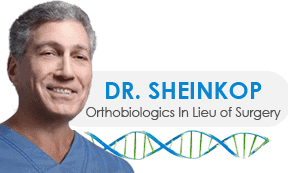 I am offering a tuition free short course in cellular orthopedics. As I have written in my blog many times, top researchers are increasingly concluding that “stem cells” are not the main event but rather part of a multi-dimensional therapeutic solution. Osteoarthritis is caused by any number of triggers including trauma, disease, aging cartilage programmed to die (apoptosis), mechanical forces and congenital predilection to name a few. Your joints’ enemies are called metalloproteinases (MMPs) and aggrecanases which don’t only just degrade the cartilage; they also contribute to a toxic joint environment. Stem cells have been shown not only to restore damaged cartilage, but to inhibit inflammation; they are one component though of a more complex treatment approach with Bone Marrow Aspirate Concentrate. To summarize, while adipose tissue may contain stem cells (Stromal Vascular Fractions), fat doesn’t come close to comparing with the the Growth factors and Cytokines to neutralize the MMPs and the aggrecanases when compared to Bone Marrow Aspirate Concentrate. The major scientific work we depend on for basic science guidance comes from Mark F. Pittenger, Ph.D. Simply put, Dr. Pittenger said that Mesenchymal Stem Cells reduce inflammation and lay the foundation for tissue regeneration and repair. Since his landmark publication, we have learned that there is more in the Bone Marrow Aspirate Concentrate than mesenchymal stem cells that may alter the bio-immune response of arthritis. To summarize, there is science and there are false claims by charlatans and those with proprietary interests and hidden agendas. We need to do more scientific studies and that’s why I have integrated patient care with clinical research; a cellular orthopedic practice based on Outcomes and not undocumented claims.